*DC: A whole heap of Bronze Age Batman this week, with every issue from #263 to #300 fresh into stock, and mostly in high grade. A good period this for the Caped Crusader, with plenty of appearances of his major villains, such as the Joker, the Peguin, Catwoman, the Riddler and the Scarecrow, plus lots of new ones too and, perhaps surpringly, a strong international flavour. Pictured are #286 (classic Joker cover VF/NM £19.50) and the landmark 300th issue (VF+ p £20.25). *Marvel: Hot from the Cold War, the Radioactive Man was a creation of the ‘Red Chinese’, such popular villains in American media in the early ’60s. 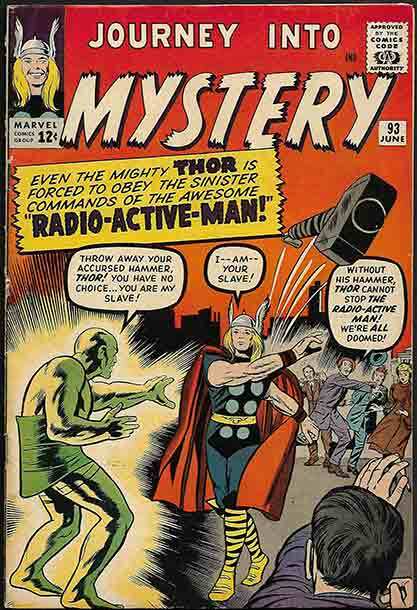 A scientist who was ordered to find a way to defeat Thor, he experimented on himself with hard radiation, which turned his skin iridescent green and caused him to dress up in a giant nappy, for reasons that were never made clear. Nevertheless, his formidable powers taxed Thor’s ingenuity and strength on a number of occasions, and the former Chen Lu has been both a long-standing villain and – briefly, with the Thunderbolts and Dark Avengers – a hero in more recent times. This is a very attractive copy of JIM #93, cents price with no UK overprint, beautiful unfaded colour with tight staples and corners. The only flaw preventing a higher grade is some noticeable spine wear between the staples, which does not break through the paper, but is simply rough to the touch. That aside, it’s a bright and appealing FN+, on sale at £200. *Marvel: A big update this week to our Marvel Bronze Age stock, with the following titles featured: Astonishing Tales (#6 1st Bobbi Morse, later Mockingbird), Avengers, Captain Marvel, Fantastic Four, Hulk, Marvel Spotlight (2nd series), Thor and 2001 (from #1). Dozens of issues added. 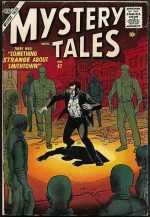 *Miscellaneous 1940-1959: 1954’s Police Action took a spin on the crime genre by having the police’s perspective as the dominant viewpoint – but don’t worry, there was still enough lurid gunplay for all, especially in the first issue, with violent art by the infamous Robert Q. Sale. 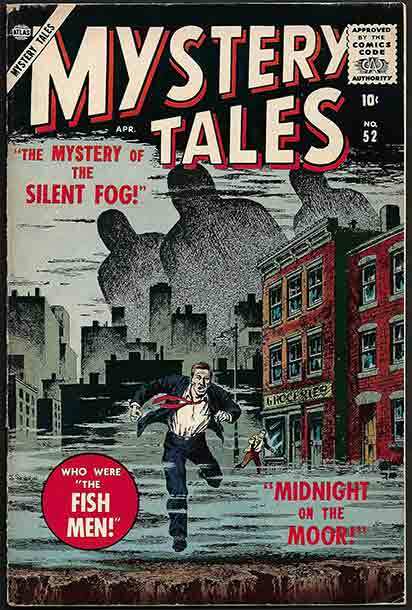 Colan, Lawrence and Maneely are other contributing artists to this seven-issue Pre-Code series, which like so many crime titles gave up the ghost with the threatened advent of the Comics Code Authority. Police Action #1-7, complete run, is new in this week. 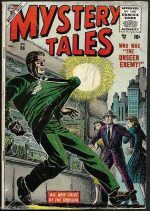 Post-Code, Atlas tried again with Police Badge #479 (that’s the full title, not the issue number), which launched in 1955 with issue #5, continuing from the defunct Spy Thrillers. Despite an engaging Joe Maneely cover, interiors by Maneely and Heck, and an unusual concept (the story of rookie cop Jim Hudson), the series didn’t ‘take’, and issue #5, the first, was also the final, so – buy it, and you’ve completed the set! Pictured is Police Action #1 GD £35; for details of the others, check out our online catalogue. *Horror 1940-1959: Don’t worry – ‘E’s ‘armless! 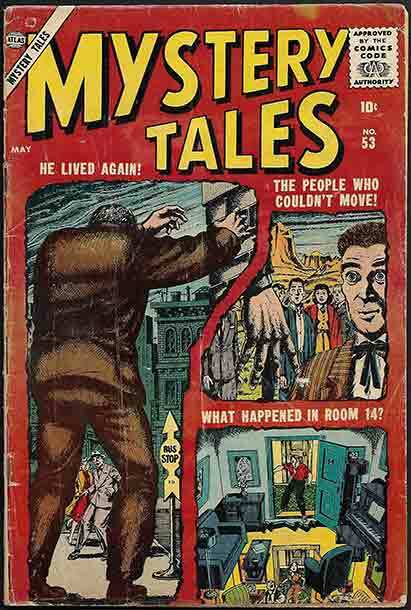 The bizarre, but beautifully illustrated, Bill Everett cover to this issue has become notorious and highly sought-after because of its imagery – a gentleman apparently being strangled by his own disembodied arms while a ghoulish figure looks on. 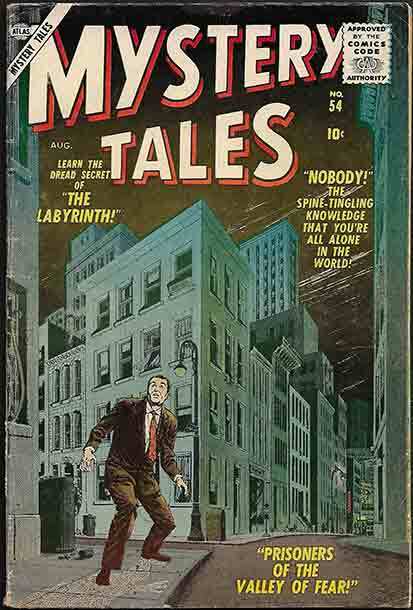 Even amongst the frequently wacko covers of the Atlas horror titles, this one is extraordinarily esoteric. The title of this story? ‘Sleep, My Love!’ Well, of course it is. This is a striking FN+ copy of a desirable item – deep unbroken black cover background, only very minor lower spine wear, vivid cover colour and gloss, firm staples, and off-white, flexible interior pages. An exceptional example of its vintage. FN+ £325. *Western: A multitude of Western series dominated America’s newsstands in the 1950s from a myriad of publishers, and Atlas’ output in the field was of a consistent high standard. 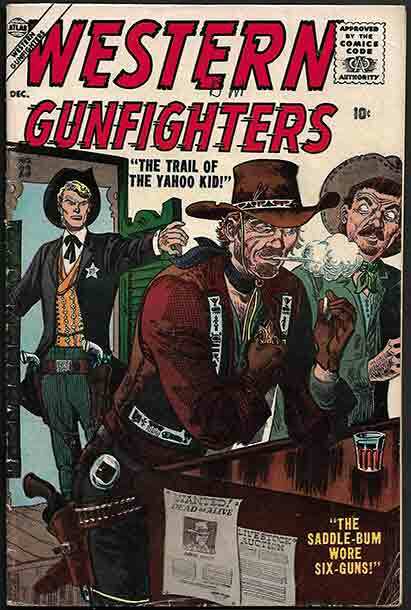 Western Gunfighters debuted in 1956 with issue #20, taking over the numbering from the fallen Apache Kid series. 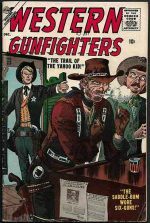 Eschewing recurring characters, Western Gunfighters provided one-off tales of the Old West, several per issue, with a stellar array of artists – Crandall, Wood, Williamson, Powell, Heath, Maneely, Morrow, Severin, Torres, and Toth were among the contributors. Ending with #27, we have the entire series new in stock this week. Illustrated is #23, VG+ £27; details on the other grades and prices may be found in our online catalogue. *Annuals: Around twenty new additions to our stock of the hardcover comics Annuals which remain a traditional Christmas gift in the UK. 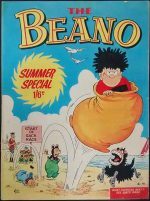 In Humour, we have vintage Dandy Annuals, from 1962 to 1964, and Dennis the Menace’s solo Annuals (technically bi-Annuals, as they were only published every second year) from 1962, 1964 and 1966. 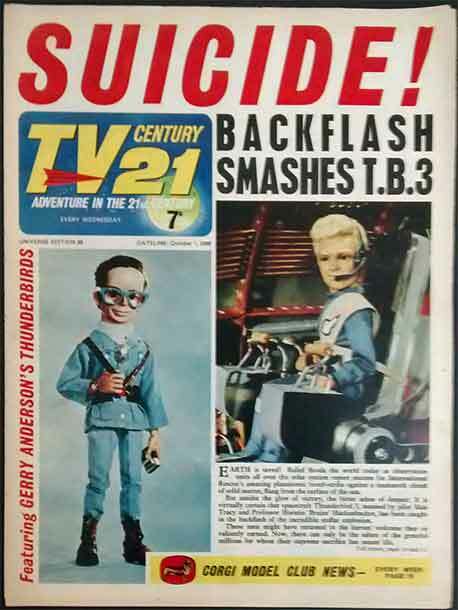 In TV & Film Annuals, we have new additions to Danger Man, Man From UNCLE, Thunderbirds and TV Century 21. And our sole Boys’ Annual addition this week is Valiant from 1965. Pictured are Dandy 1964 FN £40, Dennis the Menace 1964 FN £30, Danger Man 1965 FN £25 and Thunderbirds 1968 VG £20; for the rest, please consult our online listings. 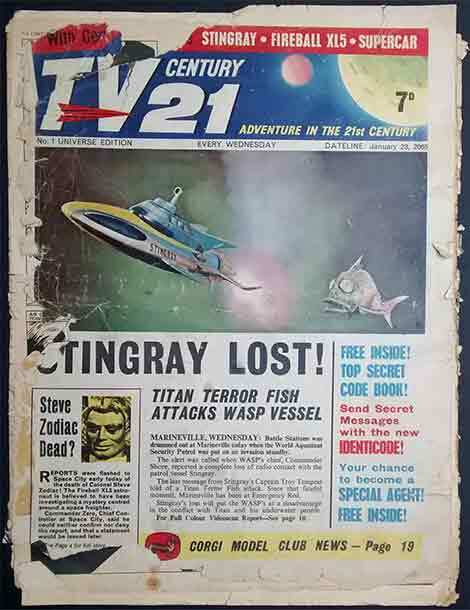 *TV & Film Related Comics: Stingray. Fireball Xl5. Thunderbirds. Captain Scarlet. Gerry Anderson’s ‘Supermarionation’ TV shows dominated the consciousness of a generation of children in the 1960s, and the TV Century 21 weekly, launched in 1965 (or ‘2065’ as the covers averred), featured in turn all of those series, illustrated by the finest artists in British Comics, during its 242 issue run. Frank Bellamy, Ron Embleton, Mike Noble, Ron Turner, Keith Watson, Rab Hamilton, Eric Eden and more turned in superlative work in glowing colour, bringing the small screen’s puppet heroes to vivid life. We have one hundred issues of this enduringly popular weekly added to our inventory, many of them filling in previous gaps in our lists. Perhaps of most interest is the #1, which, honestly, has seen better days: an unabashed Poor, its covers are detached, and there is extreme edge and corner wear throughout. The back cover has been torn in half and clumsily taped, and other back cover damage means that portions of the ‘Daleks’ strip are missing. That aside, however, it is otherwise complete, if shabby and downtrodden. The rest of the new influx vary from Fair to Fine/Very Fine, most hovering around affordable mid grades, with light to moderate wear but unmarked cover scenes and clean interiors being the prevailing trend. Any other specific faults will, of course, be noted in our online listings. Illustrated: #1 PR £50, and demonstrating the other end of the spectrum in this new selection, #14 FN/VF £32.50 and #89 FN/VF £27.50. *Girls’ Picture Libraries: Early issues of long-running Girls’ Picture Library series grace our listings this week – Bunty #2, Judy #2 and the first four issues of Princess Picture Library. The Girl in the Red Mask, the Phantom Ballerina, Sue Day and Sally of the Ballet are the featured stars of these done-in-one stories gathered from the pages of the popular weeklies. Illustrated are Judy Picture Library #2 VG/FN £20 and Princess Picture Library FN/VF £40; for details on all the others, look on our website for grades and prices. *DC: In the late 1960s and early 1970s, there arose a craze for ‘Gothic Romances’, the covers of which depicted diaphanously-clad lovelies fleeing a darkened mansion/castle/palace at night, frequently pursued by beasts. 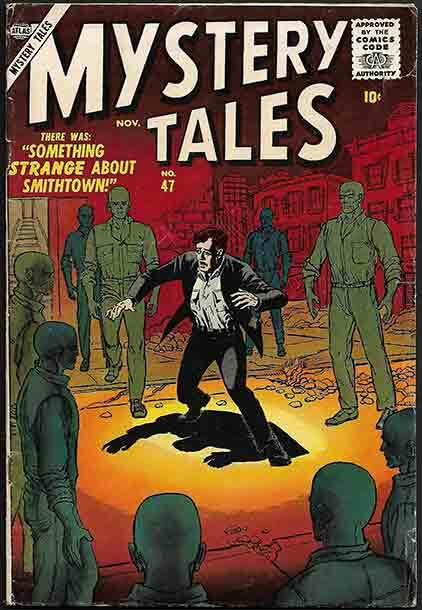 Writer Denny O’Neil, clearly having had Enough Of This Sort Of Thing, parodied the genre in Batman #227’s ‘Demon of Gothos Mansion!’, casting Alfred’s niece Daphne as the ingenue and arranging a beautiful Neal Adams cover, which became one of the most sought-after iconic covers of the Silver Age – not least because it also ‘homaged’ a Golden Age cover, Detective #31. This copy of Batman #227 is a lovely FN/VF copy, pence priced but unobtrusively in the logo, with deep cover colour, tight staples, and only a few small spine ‘ticks’ preventing a better grade. On sale at £225. *DC: In 1973, the town of Metropolis, Illinois, petitioned to be affiliated with the Superman character, becoming the official ‘hometown’ of the Man of Steel for public relations purposes. 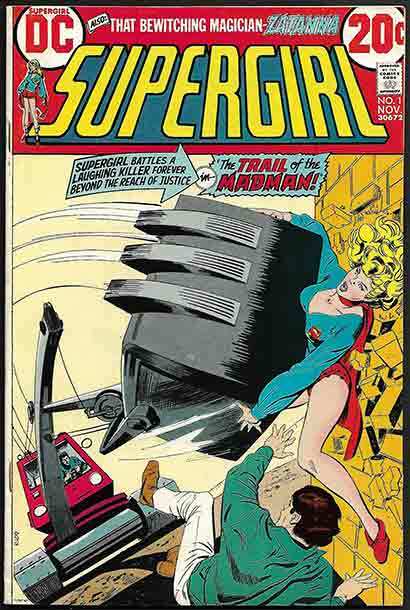 Among the tie-ins for this event was this one-off tabloid comic – in the format later popularised by DC’s Limited Collectors’ Edition series and its spin-offs – featuring new and reprint Superman and Superboy comics stories, plus multiple features and a stapled-in poster, a Map of Krypton. Sadly, the proposed Superman theme park never materialised, the attractions in the real-life Metropolis being limited to a Superman Museum – but this is a fascinating read nonetheless. Of extremely limited distribution even in the US – and almost never seen in the UK – this rarity is a must for Superman completists. This copy is FN- £40, sound and tight, poster stapled firmly inside, with only minor breaks in spine colour and light corner and edge wear preventing a higher grade. 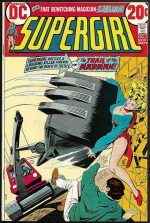 *DC: A nice range of classic Silver Age Superman fresh into stock this week, issues between #141 and #184, plus annuals #5, #7 and #8. Our favourite period this for the Man of Steel. Most copies are lowish grade and thus very affordable, plus a few better mid-grade examples. 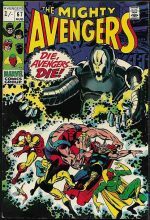 *DC/Marvel: In 1976, after some delicate negotiations, Marvel and DC decided to create a team-up between their two iconic characters which proved too big for a regular-sized comic – so the tabloid-sized format, as seen in Marvel’s Treasury Editions and DC’s Limited Collectors’ Editions, was co-opted for this event! Superman and Spider-Man (as well as guest-villains Lex Luthor and Doctor Octopus) are note-perfect in this mega-sized saga. This triggered a series of cross-overs between the two companies, with DC and Marvel alternating on the publishing chores, and Marvel was at the production helm by 1981, when Marvel Treasury Edition #28 was released, with the follow-up Superman and Spider-Man team-up, this time co-featuring Wonder Woman and the Hulk and the villainy of Doctor Doom and the Parasite! We are delighted to have both these epic editions back in stock: Superman Vs. The Amazing Spider-Man, to give the first its full title, is a FN/VF cents copy, no pence price or overstamp, clean and bright with minimal corner and edge wear. Marvel Treasury Edition #28 is FN+, marginally more wear and slight corner ‘blunting’, but still clean interiors, vivid unimpaired cover scene. Superman Vs. The Amazing Spider-Man is FN/VF £90; Marvel Treasury Edition #28 is FN+ £50. *Marvel: By the time of Spider-Man’s 50th issue, ‘new’ artist John Romita had made the series his own, and this special issue was marked with the debut of a new villain, the Kingpin – so long associated with Daredevil, in the post-Miller years, that many people overlook the fact that he originally belonged to Spider-Man’s Rogues’ Gallery! The cover to #50, with Peter’s temporarily abandoning his Spider-Man identity, has become etched in the minds of a generation, endlessly imitated and ‘homaged’, in comics and other media. Our newest copy of ASM #50 is VG-, a cents copy with no pence pricing or overstamp. Largely unimpaired cover scene, but light to moderate corner and edge wear, particularly at the cover’s upper edge, and a tiny corner off the lower right cover corner. This is on sale at £195. *Marvel: This early Lee/Kirby (with a dash of help from Steve Ditko on the cover inking) pits the Sub-Mariner, once again, against the men of the Fantastic Four (Sue, typically, is rather on the fence in the matter… how many times does a gal have to get kidnapped before she makes up her mind? ), provoked by the behind-the-scenes machinations of the perfidious Puppet Master! This copy is a CGC Universal Grade Blue Label, rated 4.5 (VG+ in real money) with no restoration, but – it must be noted – the name of a previous owner, ‘Brian’ scrawled across Namor’s shoulders (unless he was very forward-thinking in having a tattoo parlour in lost Atlantis!). That is the sole flaw, however, in a bright, tight-cornered copy which would easily grade FN or better otherwise. CGC 4.5 £130. 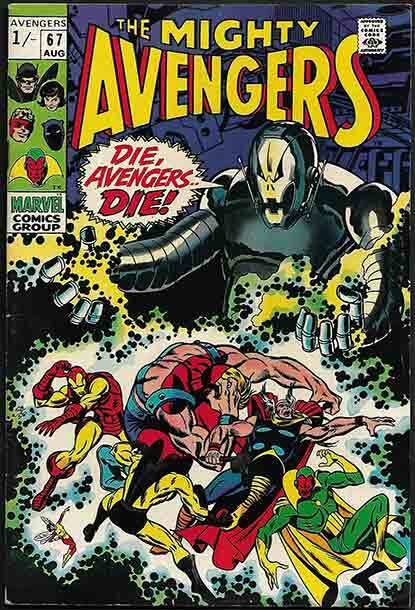 *Marvel: A selection of significant issues of Marvel’s Avengers: #54 (First Ultron cameo, FN/VF p £40), #55 (1st Full Ultron FN+ p £60), #62 (1st M’Baku/Man-Ape FN+ p £65), #67 (early Barry Smith artwork VF+ p £60), and #83 (debut of the Valkyrie – sort of – and Marvel’s violent voluptuaries, the Lady Liberators, VF- p £100). These bright & shiny new additions are characterised by higher-than average grades, tight flat copies with vibrant cover colour. Up against the wall, male chauvinist pigs! 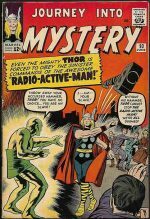 *Marvel: First issues are always popular and fast-selling choices for our valued punters, so we’re chuffed to have not one, not a handful, but a full dozen #1 issues from Marvel’s Bronze Age. Eyes down: Battlestar Galactica, Howard the Duck (sumptuous Frank Brunner art), Machine Man (King Kirby karries on from 2001! ), Micronauts (1st series, drawn by Mike Golden), Nightcrawler (the superlative Dave Cockrum drawing one of his favourite characters), Nova, Shogun Warriors, Son of Satan, Peter Parker Spectacular Spider-Man, Spider-Man by Todd McFarlane, Spider-Woman, and the first issue of Wolverine’s first ongoing series. Depicted: Nova #1 FN+ p £40, Peter Parker, the Spectacular Spider-Man #1 FN+ £25, Spider-Woman #1 FN £20 and Wolverine #1 VF+ p £35. For details on the rest, check out our online listings – but you’d better be quick! *Marvel: A small update for Johnny Blaze (1973) this week from #2 (1st full Son Of Satan) and issues up to #10, plus the final issue of the series #81, plus Marvel Spotlight #8, with the adventures of Ghost Rider before he got his own series. 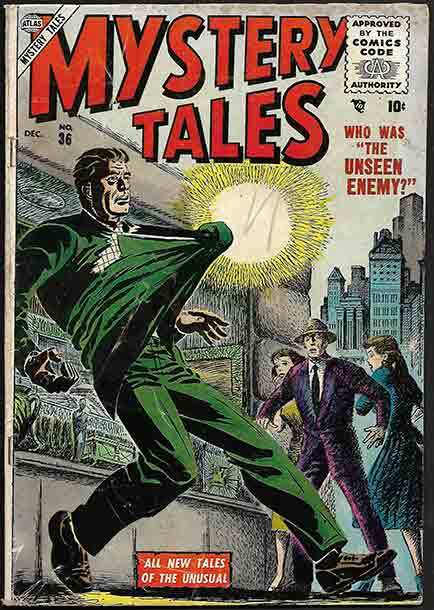 *Miscellaneous 1940-1959: An offshoot of the crime comics genre, as previously noted, was the Spy Thriller, of which Atlas had several, one of the more notorious being Kent Blake of the Secret Service, a 14-issue run from 1951-1955 in which our square-jawed hero faced off against the ghastly Commie threat. We have five of the series new in stock, ranging from #2 (Hey kids! Drug use issue!) to #13, in grades ranging from PR to FN+. Illustrated is issue #12 FN £32 – cover by Carmine Infantino – which illustrates the gunplay, violence, and emotionally conflicted ladies which typified this series. *War: Atlas’ Combat ran for 11 issues from 1952 to 1953, and we have in stock the first ten of this violent and lurid Pre-Code series, which, from #7 onwards, featured Combat Casey, the jolly red-bearded killing machine who subsequently got his own title. Combat’s clashes with ‘The Gooks’ do perpetuate some appalling ethnic stereotypes, but we must rigorously apply the filter of Historical Context to most of Atlas’ war output, and perhaps focus on the stellar artwork – Heath, Maneely, Romita, Krigstein – which proliferated. Illustrated are #3 FN- £37 and #5 VG £27; for more examples of beautifully-illustrated mayhem, see our online catalogue. *Vintage UK/Australian Reprints of US Material: Following the romance comics boom in the American comics industry in the late 1940s, it didn’t take long for the UK to climb aboard with re-packaged American stories for the British audience, at that time denied distribution of the US product. Arnold/Strato (sometimes listed as separate companies, but they were linked in some way we haven’t been able to fathom) were a leading repackager of US material, and they shrewdly licenced the three Simon & Kirby titles which had kicked off the ‘love boom’: Young Brides, Young Love and Young Romance, which they released as 68-page squarebound compilations. However, with a fine disregard for intellectual property, the publishers mixed & matched material, so while the titles may have been from the Prize stable, the content could contain any old love from a myriad of publishers: ACG, Atlas, Ajax/Farrell, Quality and, yes, Prize, are among the ones we’ve positively identified, along with many more that we have to shrug helplessly and say “We don’t really know, Vera…” These 68-page squarebounds, dating from 1954 to 1955, have a distinctive yellow & red livery that made them easy to pick out at the newsagent’s, but also a bugger for acquiring stains and marks, so we’re delighted to have a nice selection of all three ‘Young’ titles in clean bright condition, averaging Fine or better. As a bonus, we also have the first Album of each series, 128-page stonkers with more tearstained moonlit fantasies than before! Depicted are Young Brides #1 FN+ £25 and Album #1 FN+ £40; Young Love #9 FN £12 and Album #1 FN+ £40; and Young Romance #14 (three Simon & Kirby, 1 Matt Baker) FN £17.50, and Album #1 FN+ £40. 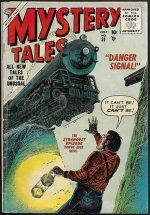 *Boys’ Adventure & War Picture Libraries: World Distributors were re-packagers of American comics material from the 1950s to the 1970s, but occasionally they produced original material, and they had a knack for bandwagon-jumping, exploiting lucrative franchises with zeal and vigour. In the 1960s, they launched a number of digests called World Adventure Library, each series of WAL focusing on a different star. Chief among them were the Man From UNCLE, the longest-lasting of the WAL’s at 14 issues from 1966 to 1967, and Batman, who launched for 11 issues in 1967. These are not commonplace in any condition, and we’ve been exceptionally fortunate to have a number of these two series in high grades. A selection of Man From UNCLE World Adventure Library (initially repackaging of the Gold Key comics, moving on to original material) is available from #1 to #11; our range of Batman World Adventure Library (original text stories with illustrations) goes from #3 to #6. Illustrated; Batman WAL #3 VF £20 and Man From UNCLE WAL #1 VF £25. 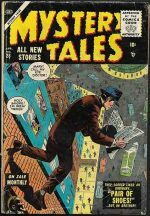 *TV & Film Related Comics: The 1967/1968 run of TV Tornado is a favourite among collectors, with popular features including Tarzan, the Phantom, Flash Gordon, the Saint and many others. The major selling point for Gerry Anderson completists, however, is the addition of The Mysterons, antagonists of Captain Scarlet, in their own series from issue #36, following the absorption of TV Tornado’s companion, Solo. Another phenomenon of recent years is fierce competition for certain covers featuring various media figures. TV Tornado had for a period presented a TV-star ‘Cover Man’ portrait, and while folks were largely indifferent to Simon Dee, Leslie Crowther or Harry Secombe, covers associated with cult TV shows – such as The Prisoner, Doctor Who or John Steed from TV’s Avengers – have spiralled massively in price, owing to interest from, generally, collectors outside the comics-reading world. 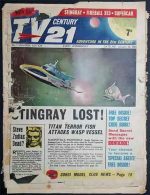 We have been fortunate in acquiring a substantial run of TV Tornado, 55 of the 88 published issues, including the first and final numbers, in generally low-to-mid grade affordable copies. Highlights include issue #1 VG £50, # 3 VF £45 and, pictured, #48 (Prisoner cover) GD £20, #59 (Patrick Troughton/Doctor Who cover) FA £30 and #64 (John Steed/Avengers cover) VG £25. 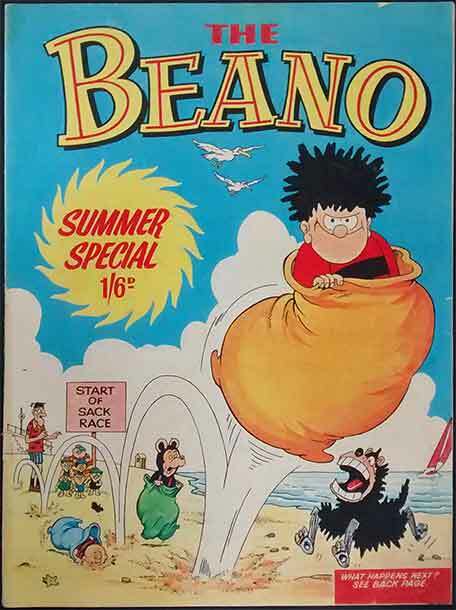 *Humour Comics: 1970 was a transitional year for the Beano Summer Special, as Dennis the Menace took over front cover prominence from the former featured character, Biffo the Bear, marking a new era for the veteran title. The format remained unchanged, however: oversized pages (13″ x 10″) with more colour and better paper than the weekly, making for an extra-sized treat for the traditional British family Summer break. 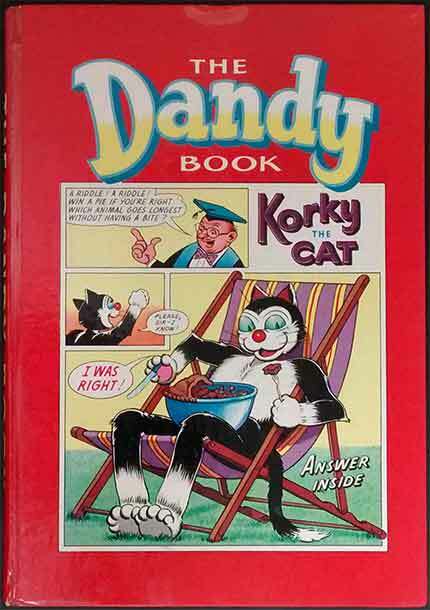 This is a remarkably clean and bright copy, no sign of the horizontal folding often plaguing these larger items, very minor corner and edge wear, but firm spine and tight staples, with all the regular features from the weekly; Dennis the Menace, Bash Street Kids, Minnie the Minx, Billy the Cat, General Jumbo, the Q-Karts and more are waiting inside for you! FN- £40. *Marvel: In 1962, following the smash success of the Fantastic Four, Marvel were casting around for their next hit. 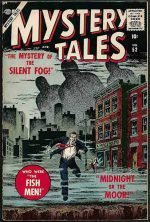 Synthesising elements from popular TV shows of the time, Lee & Kirby brainstormed a ‘mash-up’ of Frankenstein and Jekyll & Hyde – the old Universal horror movies going great guns on late-nite horror shows – and threw in a jive-talking teenager a la ’77 Sunset Strip’s ‘Kookie’ for good measure, leavening the mix with a hearty dose of ever-popular Cold War paranoia. The result was the Incredible Hulk; mild-mannered scientist Bruce Banner runs out into a gamma-bomb test to save the life of a feckless teen who’s wandered into the kill zone, and in consequence Banner becomes the Hulk, a bestial monster of incalculable strength and uncontrollable rage… and one of the Marvel Universe’s leading figures was born! All the key components of the Hulk were introduced in this issue: Banner and the Hulk himself, perpetual hero groupie Rick Jones, Bruce’s unrequited love interest Betty Ross, and Betty’s overbearing Dad, General ‘Thunderbolt’ Ross – but several elements needed to be refined, including our hero’s skin colour. In this first issue only, he was grey, like the monsters in the black & white TV horror shows; from #2 onwards, without explanation, he became the emerald-hued behemoth we love today. But the main theme of the character – intelligence and compassion triumphing over brute strength – was evident even at this early stage, as Bruce, not the Hulk, turns an enemy into an ally and ultimately saves the day. Curiously, the Hulk was a flop in his first series, cancelled after a mere six issues, and condemned to a few years as a guest-villain or a back-up strip until the revival of his solo title in 1968, but this is where his long and chequered career began. Hulk #1 is regarded by many authorities as the second-rarest Marvel key issue (behind Amazing Fantasy #15, with Fantastic Four #1 in third place); we have only been lucky enough to have three or four copies through our hands in our quarter century of trading. This is a pence priced copy, with clean, unmarred interiors, supple and unusually white for a comic of this vintage, no browning or brittleness. The cover, as you can see from the photos attached, is still very glossy, with the deep blue background vivid and unfaded. There are very fine, barely perceptible lines in the vertical centre of the cover image, not breaking the cover colour or impeding the image. Moderate spine wear and some corner blunting. The staples are firm at cover and centrefold, but the staples do have some rust, particularly the lower, which has caused some discolouration to a very small area adjacent to the staples at the interior. This discolouration is neither deep nor widespread. There is a 1 cm tear to the right cover edge, going through the ‘ER’ in the word ‘Monster’ on the cover blurb. Despite these minor drawbacks, this is a highly attractive and eminently collectable copy of an exceedingly rare item. We have graded it VG, pence copy as previously noted, and it’s priced at £8,000. Front and back cover images are shown below, plus splash page; high resolution images are available on request. Please note that this comic is not stored at our shop premises, and viewing is STRICTLY by appointment only and subject to 48 hours notice. *DC: While they have a great deal of charm filtered through the veil of nostalgia, most folks agree that Batman in the late Fifties and early Sixties got a bit goofy, with monsters, aliens, robots, unexpected super-powers, and a host of Bat-caped ladies, imps and critters running around an increasingly bizarre Gotham City. This was all swept away by the ‘New Look’, which re-established Batman as serious detectives and crime-fighters – but you know what? 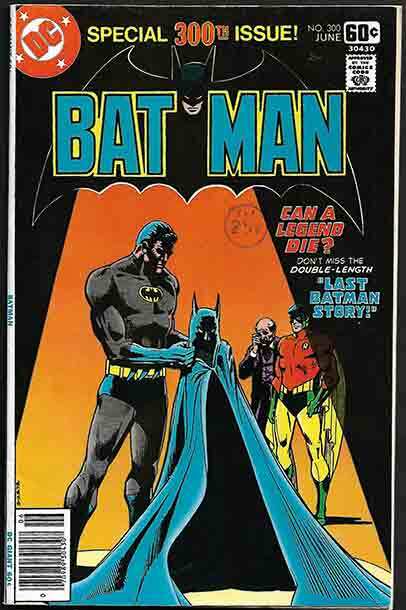 Here at 30th Century we celebrate the nonsensical, and there’s plenty of that in this selection of Batman’s own title, from #150 to #163, the last issue before the ‘New Look’ took over. This unbroken consecutive run features – in addition to all the above mentioned tropes – some of the classic villains: the Joker, Clayface, and the Silver Age return of the Penguin in #155, the Bumbershoot Bandit having taken a sabbatical for a few years prior. Pictured are #152 FN+ £50 (Joker story, but blink and you’ll miss it) and #155 FN+ £250, the Penguin’s Return; for everything else – including a fire-breathing Ace the Bat-Hound, because why not? – check out the online lists. 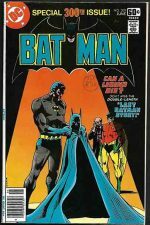 *DC: More of the 1970s oversized tabloid editions issued by DC, most of which never made it over here to the Old Country in any quantity, and which are keenly sought today. We open with Famous First Edition F-4, reprinting, cover to cover, Whiz Comics #2, the first appearance of the original Captain Marvel, now known (because of interference from the House of Ideas) as Shazam! We then move on to Limited Collectors’ Edition C-21, also starring Captain Marvel/Shazam, C-39 – Secret Origins of Super-Villains – starring the Joker, Luthor, the Cheetah, Captain Cold, Sinestro and Dr. Sivana, as well as their heroic opposition; and we close with C-52, aka The Best of DC Vol. 1, with a Neal Adams cover fronting a selection of DC’s most distinguished and famous stories. Issue C-52 (VF £15) is pictured; the rest can be found in our catalogue listings. *Marvel: One of the later breakout characters of Marvel, Frank Castle, aka bereaved urban vigilante the Punisher, became one of the company’s super-stars in the 1990s, but had spent most of the previous two decades ‘bubbling under’ as a guest-starring anti-hero, his media presence – and commercial appeal – being heightened by the recent Netflix TV series. The Punisher’s first appearance in Amazing Spider-Man #129, February 1974, is rare in the UK, where, owing to the presence of Spider-Man Comics Weekly, the US title was embargoed for several years. This is a cents copy (there are no pence copies, of course), in remarkable condition; unmarred cover scene with bright, unfaded colour and excellent gloss. Staples are firm at cover and centrefold, interior pages off-white, flexible with no hint of brittleness or browning. A small hint of wear at the upper left cover corner and extremely faint blunting at the lower right corner are the only items precluding a still higher grade for this exceptional copy of a key issue, on sale in VF at £850. Front and rear covers and splash page are shown here; high resolution images are available on request.